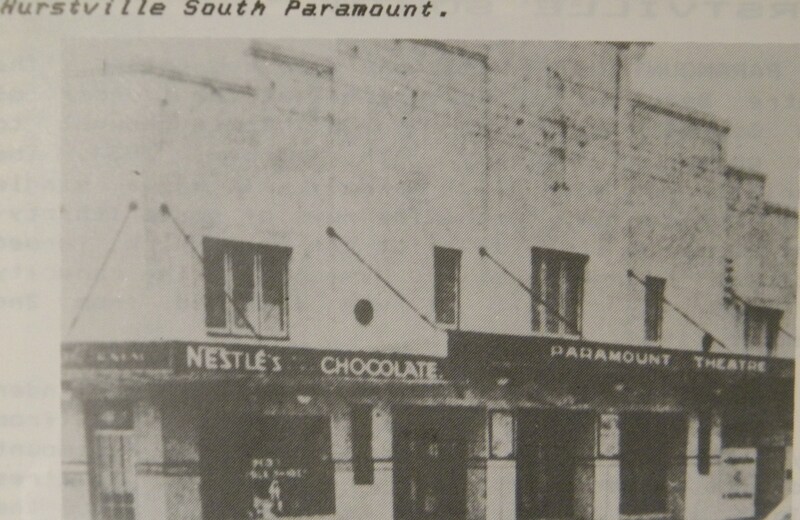 Padstow Star Cinema, 1964. 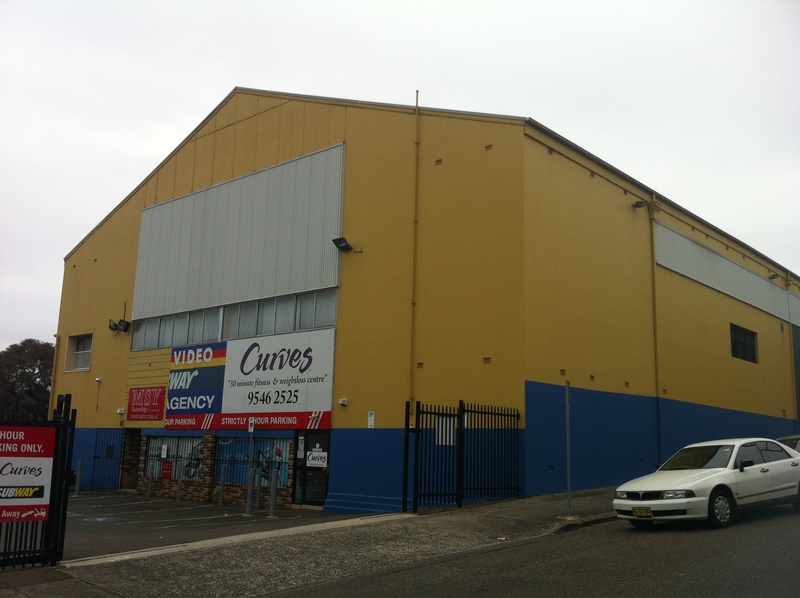 Image courtesy Joe Simiana. 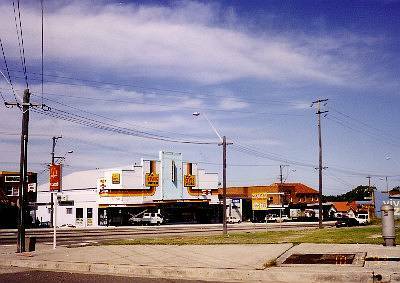 Built in 1952 as the sister cinema to the not-too-distant Panania Star, the Padstow Star was one of many suburban cinemas of old. It’s a concept you can barely imagine now, unless you live in Beverly Hills. 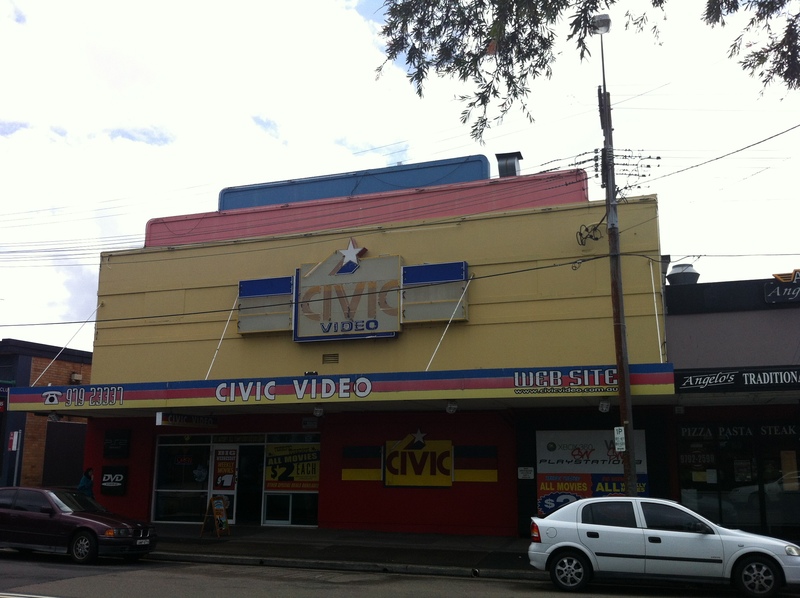 In 1985 the cinema closed, with Caravan of Courage: An Ewok Adventure being its last screening. See, Ewoks do ruin everything. 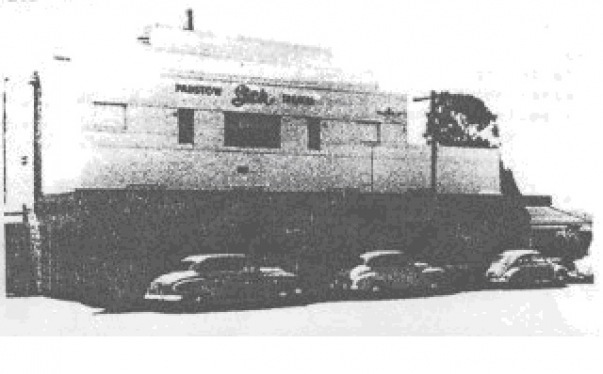 The projection booth remains as well, and is now the manager’s office judging by the angry, managerial eyes staring out at me when I tried to take a picture of it. 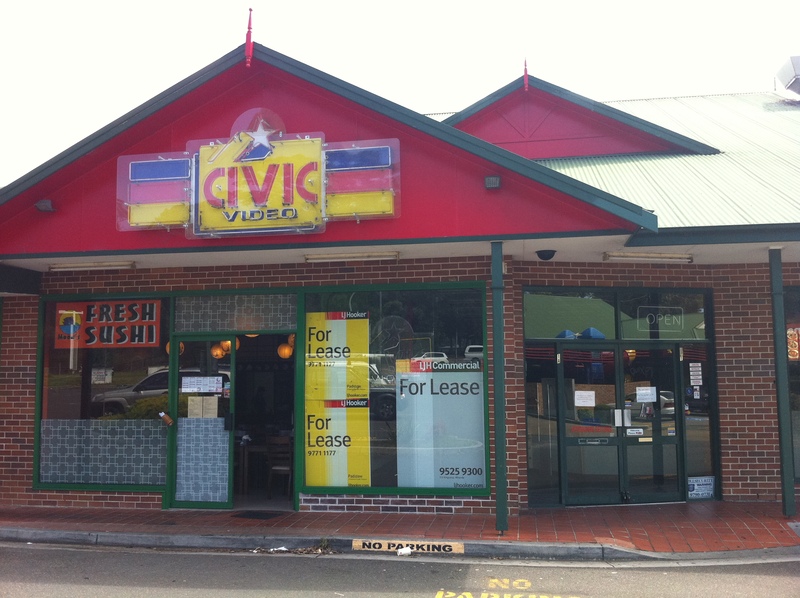 Given the impending death of video shops, it’ll be interesting to see if this building gets yet another lease on life in Civic’s wake, or whether the residents of Padstow will have to start drinking for entertainment on a Friday night, like the rest of us. 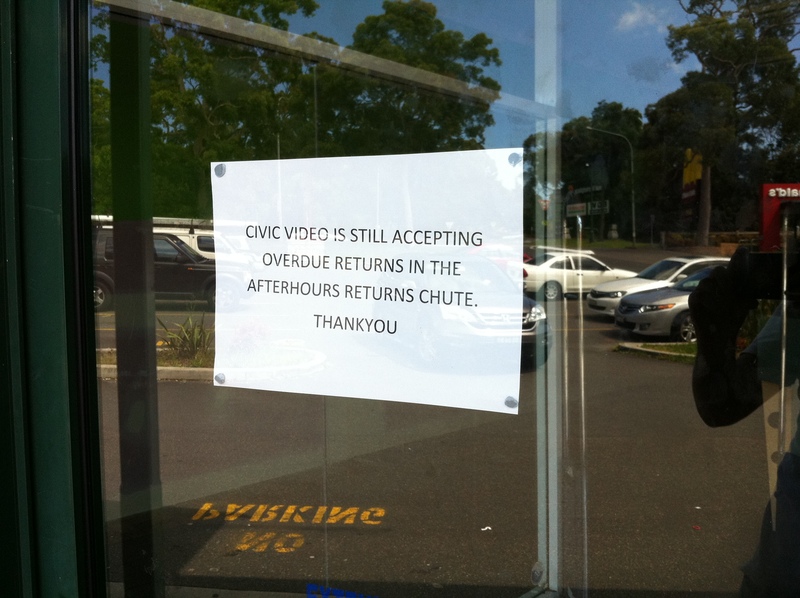 Video shops have been in their death throes for longer than the dinosaurs were. It’s not just that better technology came along – VHS fended off advances from Beta and Laserdisc during its prime. 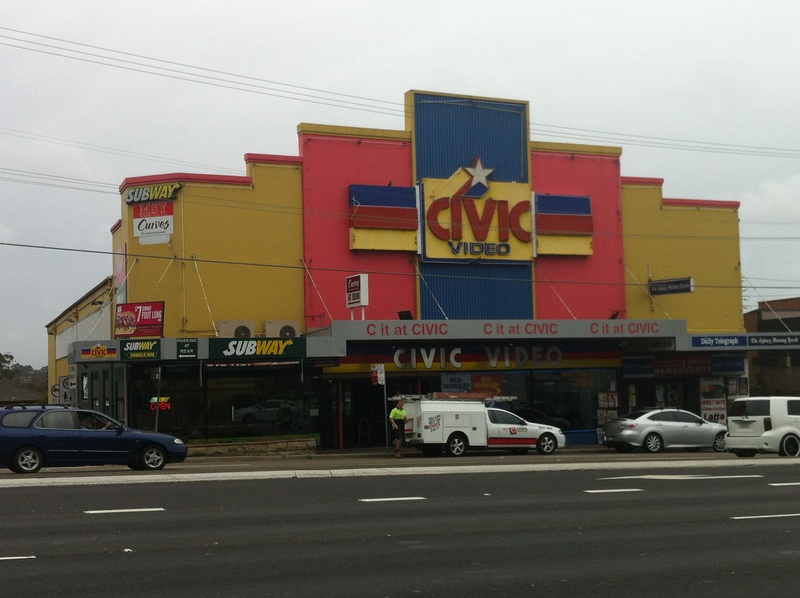 Many video shops made the switch to DVD relatively painlessly, although it usually required a company name change. 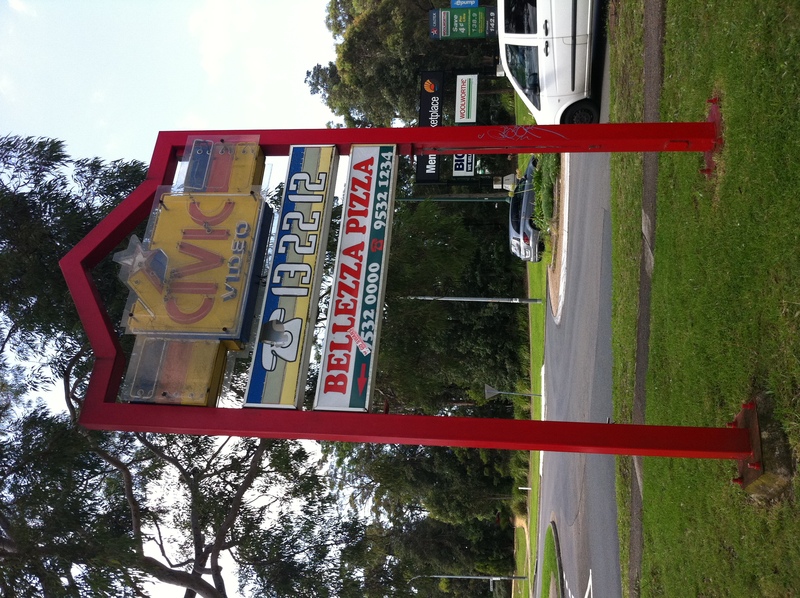 DVD Ezy just doesn’t have the same ring to it. The death of this Civic in particular seems like it was protracted and painful – first it had to concede half its space to the Japanese before finally giving up the ghost, kinda like the USA’s auto industry in the 80s. 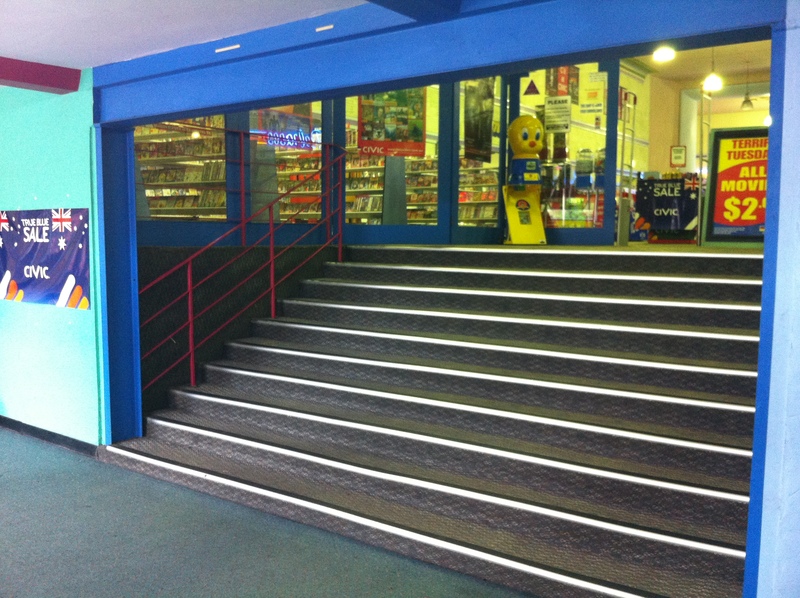 Many video shops downsized as a first defence against the inevitable – DVDs take up less room on the shelves. There weren’t any overdues lying on the floor inside. I’d say a few lucky individuals just scored themselves free scratched copies of The Real Cancun or Ice Age. 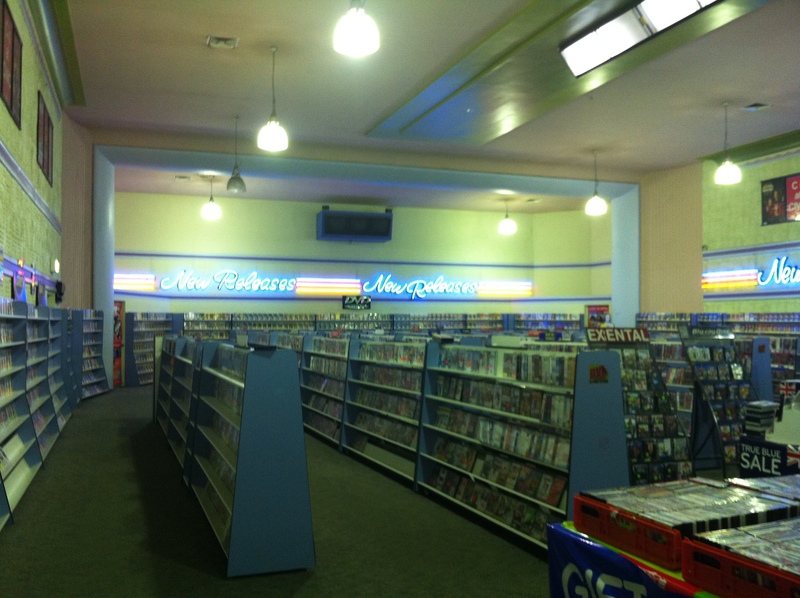 The real reason video shops died out is because people suddenly realised they were sick of paying too much for DVDs that barely worked, sick of wasting time looking for titles shops didn’t have, and sick of trying to hide their tears as they glanced at the forlorn $1-each ex-rental VHS section. Yes, that collective realisation was Civic’s ice age.